One of my quilting goals for 2017 is to piece a Red and White quilt. 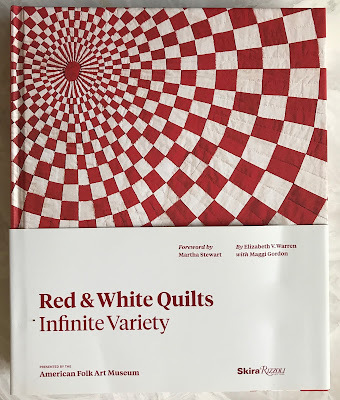 And this is my go to bible when it comes to red and white quilts, and one of my favorite quilt books. 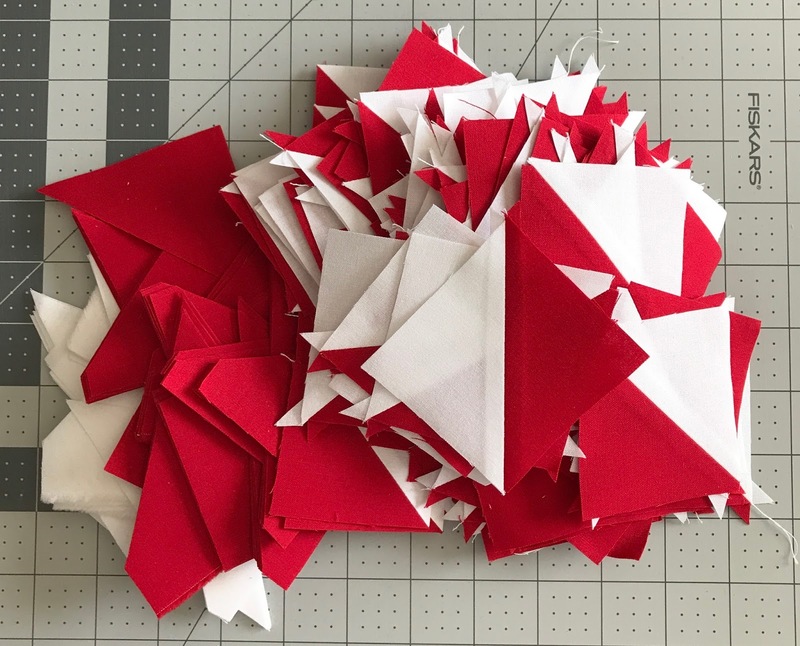 I have at least 20 pages of quilts marked with post-its that I would like to make at some point, so it was just a matter of selecting one of the 20, which was easier than I expected, mainly because I know this is not my last red and white quilt. So this is the quilt top I decided on, first, because as you know, hsts are my favorite block, and also because this is one of the quilts in my Red and White Tribute Quilt. I think it would be fun to have life-size versions of all the mini quilts in my tribute quilt. I pre-washed my Moda Bella Solids, and I used a color catcher for the red, it didn't pick up any color at all, way to go Moda. It finished at 66 1/2" x 74 1/2"
It has 645 hsts for a total of 1,290 pieces. The large hsts are 6 1/2" and the small ones are 2 1/2"
I miss-counted my 2 1/2" blocks and ended up with 125 extra, plus the pieces for even more. That's OK, that's just a jump start on the next one, sometime down the road. A very nice start to getting all the quilts done in your Tribute Quilt and what a great crisp looking top....one down and how many to go??? 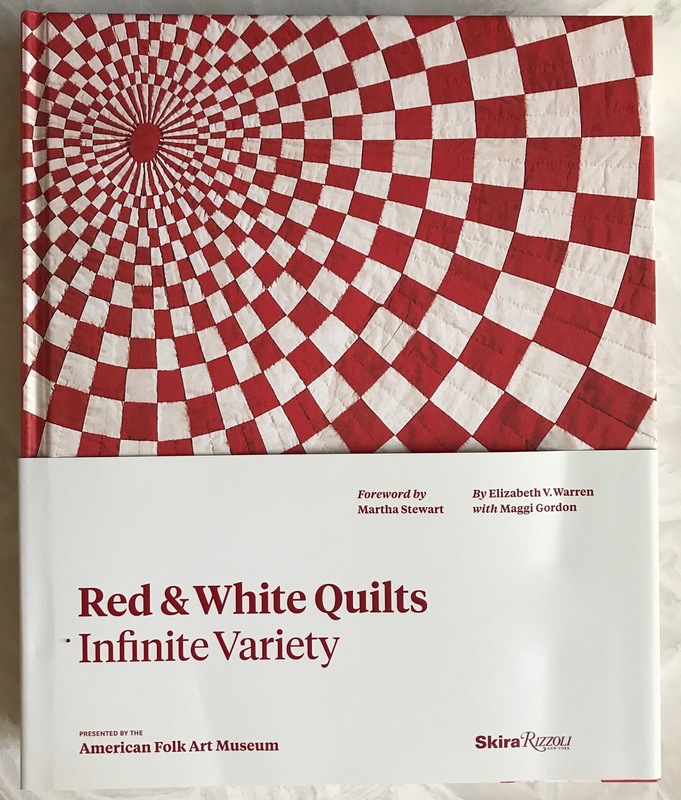 Beautiful red and white quilts! Beautiful! Red and white (and blue and white for that matter) are fav's of mine, as is that book. Congratulation, a beautiful top. Very nice, it looks perfectly squared up on your design wall! 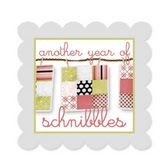 I think it could take some special quilting. What's next for you? Gorgeous! All your quilts are awesome, Thelma!! Stunning, Thelma! What method did you choose to make your HSTs? I haven't had any extra time lately and I haven't sewn in a month. I need to get down to my machine and sew!! Have a great day. Beautiful. I love red and white and have a couple in my possession. Wow I love your red and white quilt! Just beautiful, Thelma. 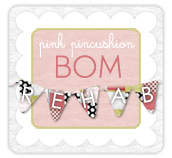 This is why I fell in love with your blog - a traditional quilt and in my favorite color red. I know you lean toward more modern quilts these days, but I still love your blog and still love to see what you are sewing. Keep up the good work! Oh my good heavens that's a lot of HSTs!! You seem to land on the exact quilts I too love...the house ones and now the red and white. Always thought I'd stitch a Dear Jane in reds. Yours are gorgeous! I just recently found your blog and have added you to my feedly reader so I can start being a regular reader - love what i see of your work - that red/white book is on my list to get one day. I have already made a red/white Dear Jane - it might be time to start another red/white quilt. I wish I would have kept track of all my quilts like you have but I started 30+ years ago and have only been blogging for 10! That's interesting, because a Red and White Dear Jane is on my list, lol. That's an amazing accomplishment, Congratulations. Thanks for stopping by.